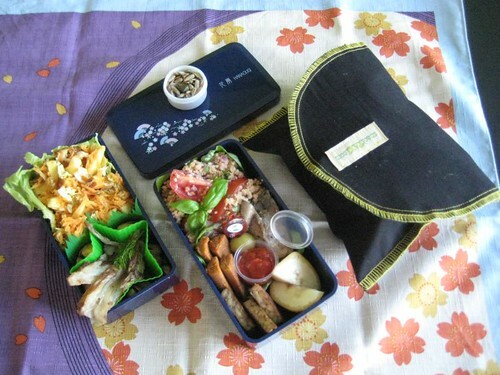 Oh, another of those fantastic bentos. This contains so much I-want-it-too stuff! I just wondered, you always have little bits of everything. But what if you like something enough that you could eat a whole bento box full of it? Don’t you ever get greedy and think: I wish I had packed much more that? I bet you do! All the little bits together make a balanced meal. And it’s so much fun having a bite of this, a taste of that.. :) I wouldn’t feel satisfied having just 1 dish. Thanks again for your kind comment!